I’ve been looking to wear these for a special occasion so when we booked to go out for dinner I decided to give these a go. Personally I’ve never been a massive fan of press-on nails; after all I do work as a nail technician so tend to wear the OPI Gel Color on my nails. 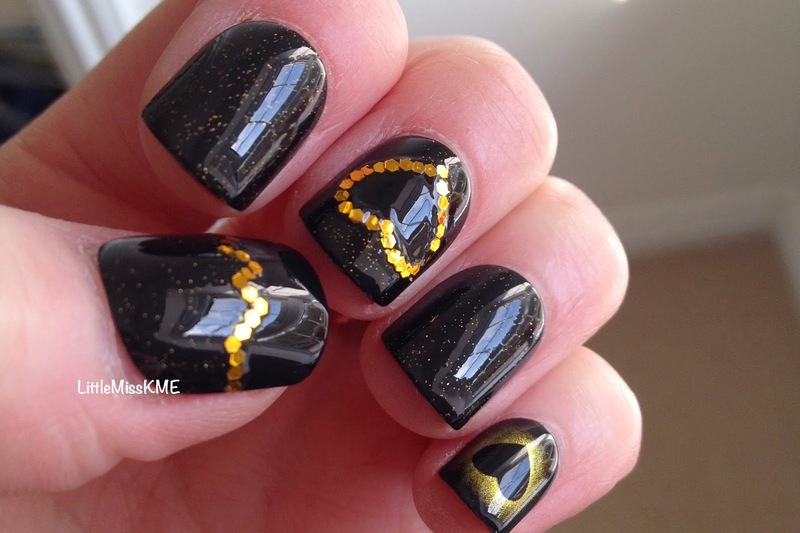 These nails are part of the Little Mix collection by Elegant Touch are relatively new to the beauty market. I picked these up from the hair and beauty wholesalers I use for work. I was instantly drawn to Jade as I love the black and gold colours of these. The set comes with a wide selection of nail sizes and nail stickers to apply them with. I found they were very easy to fit, although I did find I had to file my nails down a touch (my natural nail length was a bit longer than the press-on nails). Sizing was simply to do and only takes a few minutes to decided which ones are needed. Applications couldn’t be simpler too; just choose the correct sticker, peel off the backing and apply to your nail. Then put the press-on nail on top of the sticker, hold for a minute and move onto the next nail…….easy peasy!!! Have you tried any nails by Elegant Touch? If so what do you think? Aw, I love the detail on your pinky. Looks amazing. That really is a gorgeous manicure.